The search for jewelry classics is equivalent to the pursuit for the perfect white shirt, the flawless little black dress or an impeccable pair of jeans. It’s a key piece, women are always trying to track down, that can be put on for a day at the office and night on the town. Well, I am calling off the hunt. The debut collection by Valani has necklaces, bracelets, rings, earrings and ear cuffs that do all of the above. Designer Heena Shah conceived it as the ideal jewelry wardrobe. A bit of backstory: Heena began her professional career as an industrial engineer at Google in New York City. Yup, she is a brainiac. Heena is also highly creative. To relax after a long day at the tech behemoth, she enjoyed taking sculpture classes. 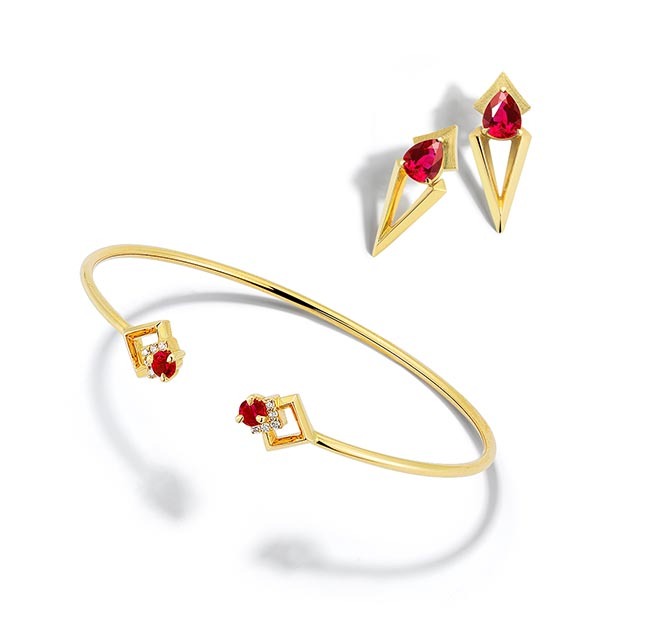 The jewelry part of her journey began when she temporarily relocated to Hong Kong with her husband who comes from a family of gem dealers going back generations. Together, they traveled to mines all over the world including Brazil, Colombia, India and Japan. 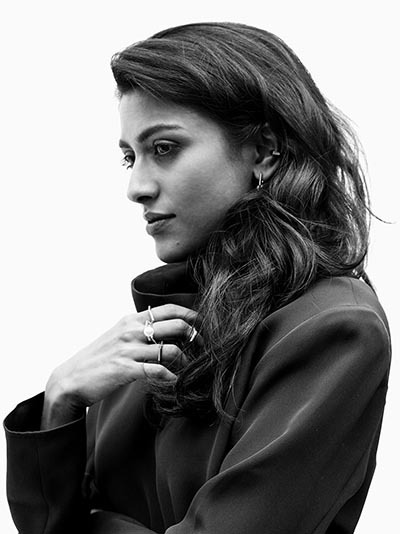 Heena found the gems so inspirational, she designed a few pieces of jewelry for fun. Well, next thing you know clients of her husband’s firm wanted her to make jewelry for them. It was around this time Heena started entertaining the idea of a career change. She took some design classes at the esteemed Gemological Institute of America in New York. Then she began submitting her formal fine jewelry set with major stones to jewelry competitions. She won again and again and again. Heena rapidly racked up six accolades for her work including an AGTA Spectrum Award, a WJA Diva Award and the Platinum Innovation Award. With the recognition, Heena began to give her future as a jewelry designer some very serious thought. It was then that she realized, while she loved creating the special one-of-kind treasures, she wanted to make a collection that was more practical, something for working women like herself. I sat down with Heena to find out all about Valani. Read segments of our interview below. What’s the inspiration for the look of the collection? My designs stem from my experience in sculpture. When you sculpt with modeling clay, you work with light and reflection and how that plays in three dimensional objects. Those concepts are what I try to incorporate into the jewelry with the angles in the metal. It is the same thing you study when you are cutting gemstones—how the light reflects. Speaking of gems, the stones in the designs may be small but they are absolutely stunning. 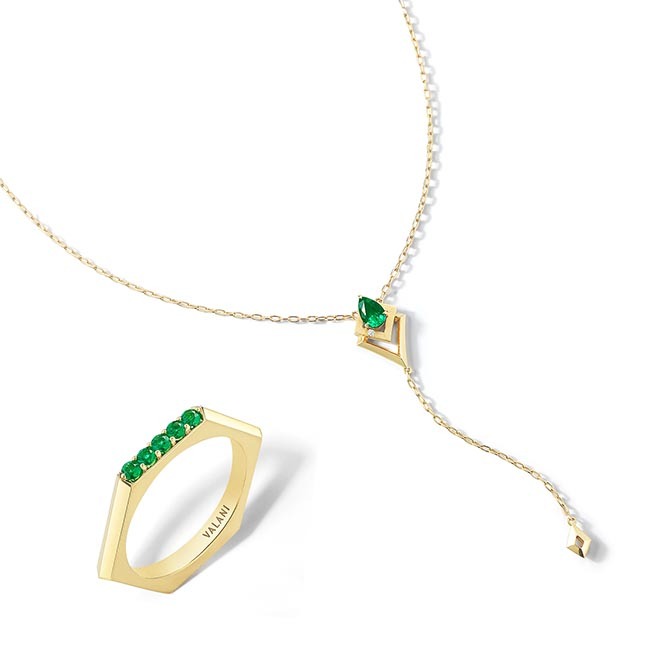 I love the fact that the collection centers on the colorful precious gems, rubies, emeralds and sapphires. I chose to use colored precious stones after analyzing the market. I realized that there wasn’t actually a lot of daytime jewelry using them. I wanted to fill the gap. The gems in the jewelry are truly superior to industry standards. We are committed to ethical sourcing and obtain the gems directly from mines around the world. Your designs are minimalist with a lot of sophisticated small details in the pieces. Tell me about some of your favorite elements. One practical detail is the oval pin hidden clasp on the bracelets. It doesn’t snag when you are working on your computer. A romantic detail is the engraving we can fit on the outside of the rings. We can add six or seven characters like a birthday or an anniversary. It starts around $550 for a single emerald and 18K gold stud and goes up to around $3,300 for a ruby and diamond two stone ring. It is priced to layer and collect over time. *Story produced in collaboration with Valani.